Take the stress out of buying a vehicle in your golden years. A dependable means of transportation in the form of a safe and reliable vehicle is vital for seniors. It's the difference between staying independent or facing isolation and dependence on others. The ability to go buy groceries, get to doctor’s appointments and stay connected to friends and family is essential to a healthy lifestyle as a retiree. When it’s time to purchase a new car after retirement, not having a traditional source of income can pose a challenge. If you’re ready to purchase a vehicle and only have social security, disability or pension as a source of income, we’ll teach you how to prepare for the purchase and get the car loan you need. According to U.S. News & World Report, there are three major criteria which lenders look for when approving loan applicants regardless of their age. These include income, assets, and credit. Out of these three, income can be the most difficult piece of the car loan puzzle when you're retired. Social security benefits cannot be garnished by lenders, which means they usually need to see another source of income. A high credit score and additional assets can go a long way to help you get approved even without a traditional income source. Shopping for a car within your means and having a large down payment can also make a big difference. It's important to be practical about your car buying and borrowing decisions to ensure that they don't harm your long-term retirement plans. 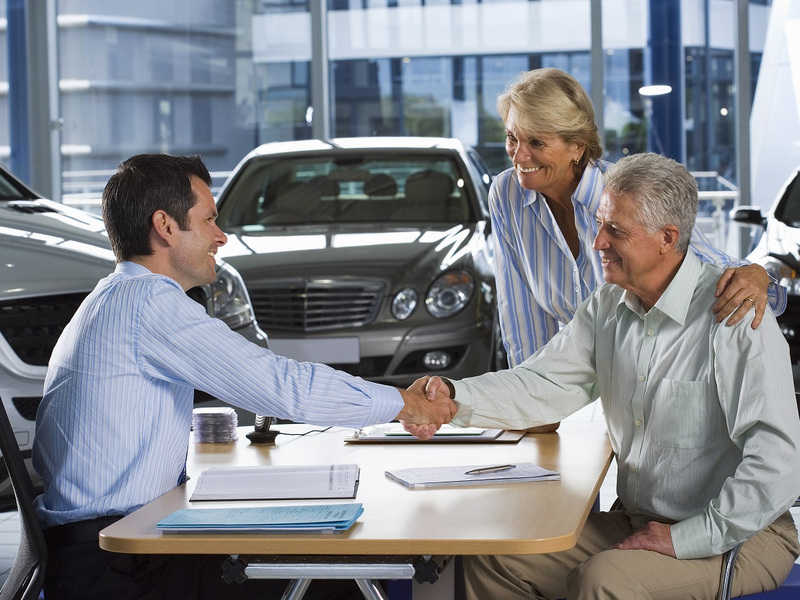 The following tips will help you buy your new car and avoid the stress of financing it. Social Security benefits represent about 33% of the income the elderly receive, according to the Social Security Administration. Continuing to work while receiving social security benefits is allowed and many people choose to work a part-time or even full-time job even as they start receiving social security. Without an excellent credit score and a large down payment, social security benefits alone will typically not give auto loan lenders enough confidence to approve your application. 401ks, IRAs and other investment assets can be considered income and prove to the lender that you'll be able to make your monthly payments. Make sure to include all your income sources whether from social security, employment or investments on your car loan application for the best chance at approval. When was the last time you saw a copy of your credit report? In addition to income and asset sources, lenders will look at your credit score to determine your approval. Having good credit can get you approved for a car loan even without a large income. Before applying, it's important to be aware of your credit score and make sure there are no errors that are bringing it down. You're eligible to get one free copy of your credit report per year. Take advantage of this to make sure your score is accurately represented. If your credit score is in the fair or poor range and your car purchase isn't an emergency, you can improve your score by decreasing your credit utilization. The best way to quickly boost your credit score is by getting an increase to your credit limit, paying down your credit card balances and paying your balances before your credit card company reports it to the credit bureaus. If the need for a vehicle is urgent and your credit score is low, you can look at working with subprime lenders who have experience financing car buyers with poor credit. Be aware that these loans will come with a higher interest rate. New car prices are climbing fast which makes buying used a smart choice. Taking out a large amount of debt in retirement can cause unneeded stress in a time where you should be enjoying financial freedom. A car purchase can be a necessity for the freedom to live an active life, but a high monthly payment can also handcuff you from doing the things you love. Shopping for used vehicles instead of new or choosing from the list of most affordable used cars will offer reasonable monthly payments and will also improve your chance of getting approved for a car loan. If you find an affordable used car and still need help with the financing, you can look into small car loans starting at $5,000. After you select a practical car for your financial situation and transportation needs, having a substantial down payment and choosing the shortest possible loan terms will set you up for a stress-free financing process. Aim for 20% of a new vehicle's sale price as a down payment and no less than 10% for used vehicles. A large down payment will compensate for a lack of traditional income outside of social security or a low credit score. A significant down payment also means you'll be financing less of the vehicle which saves you money on interest. The appeal of a low monthly payment can tempt you into extending your loan term for as long as 84 months. This is not advisable, especially for retirees. There are serious risks involved with long term car loans including becoming upside down on your loan and getting into a negative equity cycle (the last thing you want to worry about in your golden years). Opting to go with the shortest possible loan terms will provide cost savings and also help you become debt free faster.